So, a book or two has been read in among all the other distractions of life, including a really brilliant book about a fascinating time in recent history: The Last Dance 1936 The Year Our Lives Changed by Denys Blakeway. This book takes the main themes of events in the year; the death of King George V, the Berlin Olympics dominated by Hitler, and of course the Abdication crisis. They are roughly in chronological order, but each chapter gathers the main points of the events in a logical way, using diaries, letters and other documents to show what the main protagonists and observers really thought. Thus we see those politicians and minor aristocrats who were mesmerized by the rise of Germany, the people who tried to keep Edward on the throne (surprisingly few) and why the Jarrow march was so different from the other hunger marches, as well as the town it sprang from. Husband was pleased to see a chapter about his favourite film, The Night Mail which, for those who have so far escaped / missed it, is a film of Auden’s poem about the transportation of post through Britain. If anyone is interested, he can and will recite said poem ( and surrounding documentary). The style in which this is written is very readable, not dry or sticking rigidly to the strict facts. Equally it is not a flimsy work; it contains about eighty pages of notes and index. It would make an excellent resource for further study of the period, as well as tempting the more casual reader to look further at particularly interesting points. It covers the same ground in some respects as Juliet Gardiner’s Thirties, obviously in a more focused way, and this is a far less daunting prospect to read. I had spotted this book about to go paperback and was really pleased to find a new copy in my library. I think that it is readable, interesting and does not feel at all like a heavy history book. Even the photos are informative, including a portrait of Diana and Unity Mitford and a photograph showing a telling gesture on the part of Wallis Simpson. 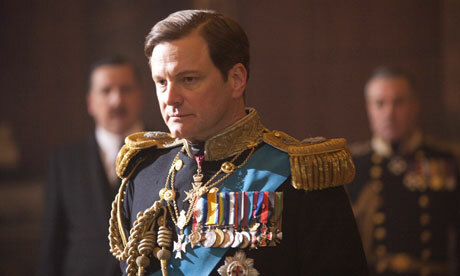 As modern history goes, this is a fascinating year to examine, and if you enjoyed the King’s Speech (who didn’t?) this is a really interesting interpretation of the background of the film.